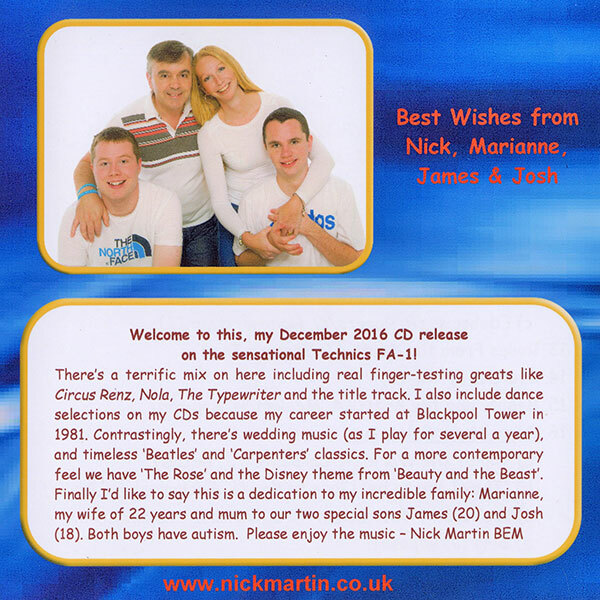 December 2016 release played on the Technics FA-1. 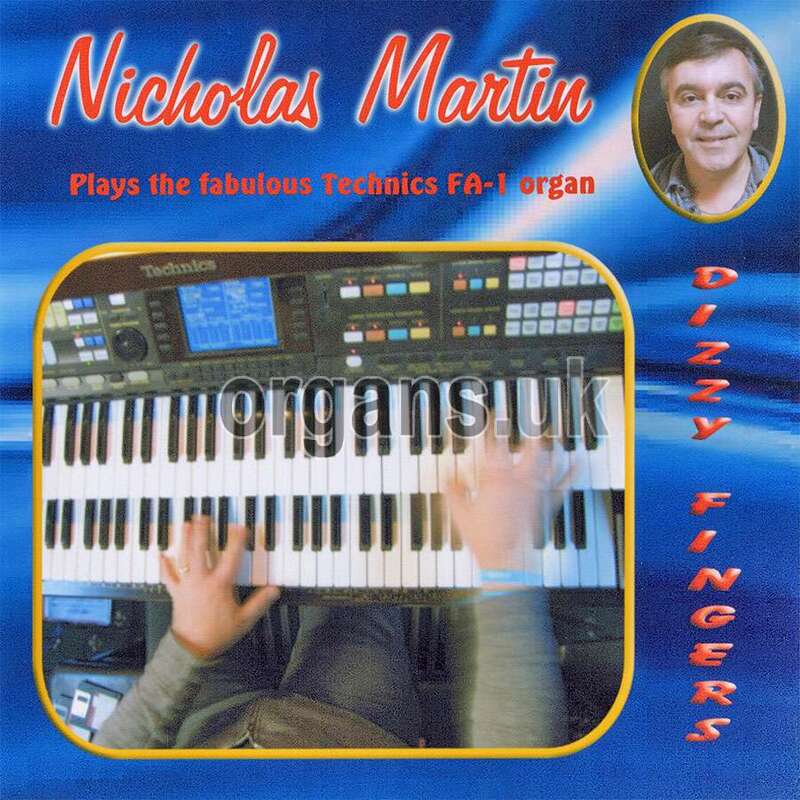 Also uses a Roland Fantom XR module and “Theatre Organ In A Box” software on the Blackpool Waltzes Selection. 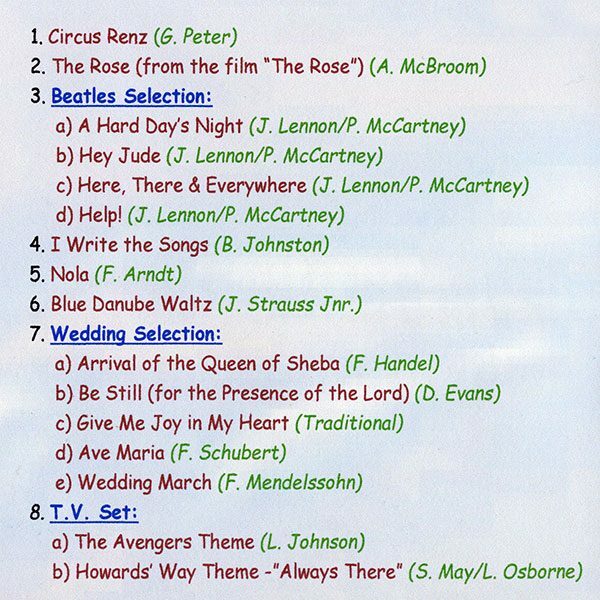 Beatles Selection: A Hard Day’s Night / Hey Jude / Here, There and Everywhere / Help! * Roland Fantom XR module and “Theatre Organ In A Box” software. 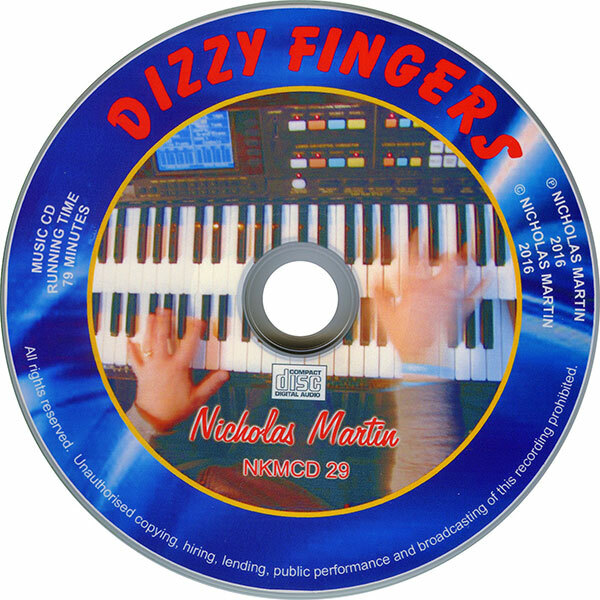 Nick has released a CD in December for the past few years now, again, he’s at the controls of his trusty Technics FA-1 which has been the mainstay of his electronic releases since around 2005. As with his last few CDs, the Roland Fantom XR module and “Theatre Organ In A Box” software does make another appearance, although restricted to just one of the medleys on this occasion. 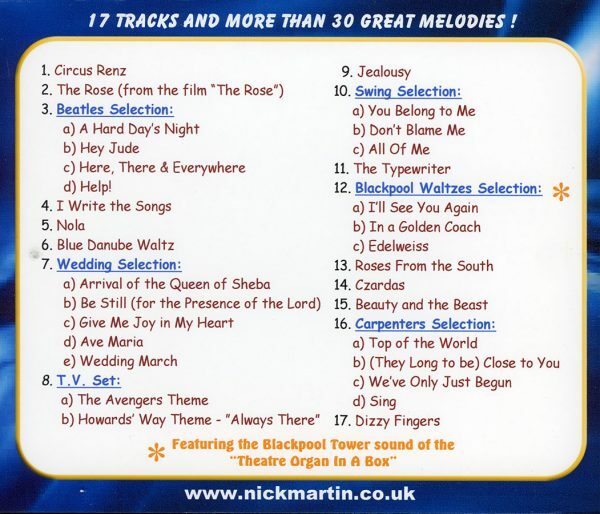 It’s a shame as it does have a rich and full sound and extends the sound of the FA-1, but at least it pops up on the beautiful “Blackpool Waltzes Selection” where its best suited. Still, the Technics sounds good. In the ballad department we have a gentle version of the “The Rose,” a gorgeous song from the Bette Midler film of the same name. There are also lovely sounding arrangements of Barry Manilow’s “I Write the Songs,” “Beauty and the Beast” and a Carpenters Selection. We also have a neat “Beatles Selection” which mixes the uptempo and slow numbers nicely. The medley-ing of “The Avengers Theme” and “Alway’s There” from “Howard’s Way” sounds a little odd on paper, but is only joined together by a couple of strings! 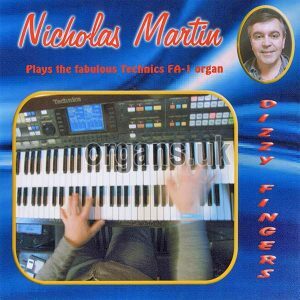 There are quite a few popular organ standards on this CD too including a few that Nick mentions as ‘finger-testing greats’, we have “Circus Renz,” “Nola,” “The Typewriter,” not to mention the title track “Dizzy Fingers.” We also have ones from the other end of the organ spectrum, “The Arrival of the Queen of Sheba” and “The Blue Danube,” so put those with the Blackpool Sound and a jazzy Swing Selection and Nick’s covered all the bases and shows what a brilliant and versatile player he is. 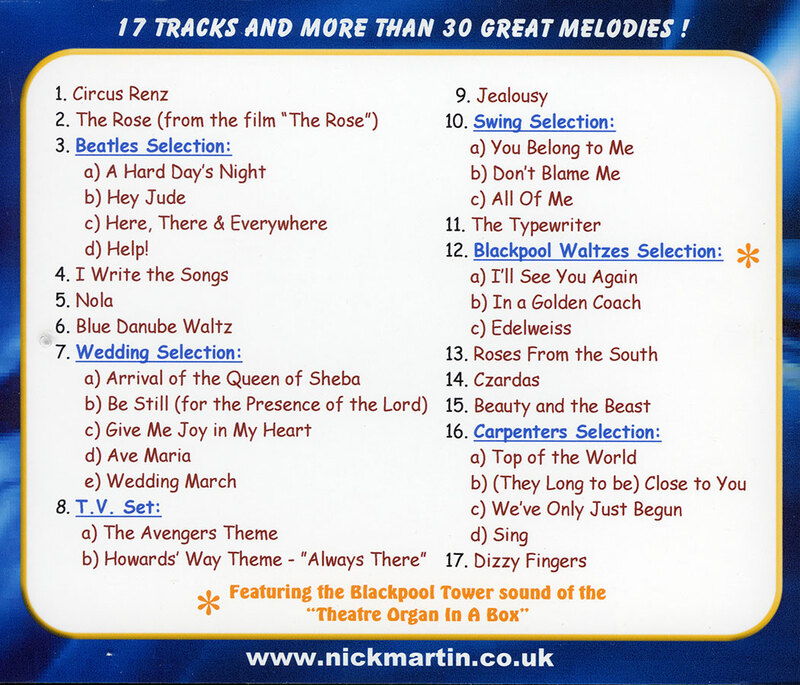 Nick’s CDs are always popular and this is another one that is sure to please his fans with his usual mix of lovely pieces, great playing and top arrangements. It’s also packed to the rafters with another long running time of over 79 minutes.